Train operating companies continuously seek more business. 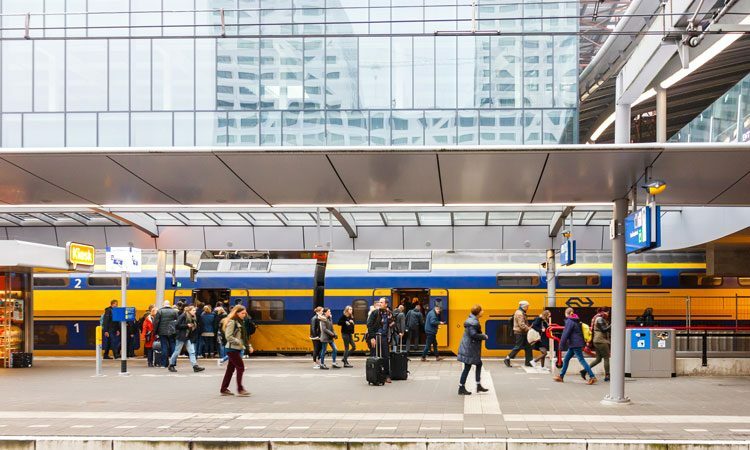 The key combination is high performance and happy customers, yet Netherlands Railways’ (NS) strategy sets passenger satisfaction as the number one target and performance indicator. 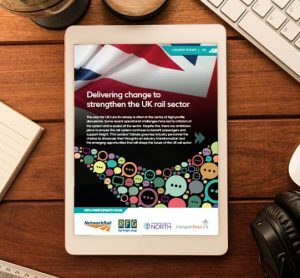 This ambition is supported with a wealth of insights into the main drivers of passenger satisfaction. The big challenge is how to successfully convert insights to action. Mark van Hagen, Principal Consultant Customer Experience and Joost van der Made, Head of Concept Development, explain more. Research into human thought1 shows that over 95 per cent is subconscious. This means that unfortunately, customers are not very good at expressing what really makes them happy. Consequently, reaching the subconscious mind is crucial in uncovering what truly matters. In their research, NS use ZMET – the Zaltman Metaphor Eliciting Technique1 – which consists of in-depth interviews using photo-elicitation. This technique allows us to discover what stages in a rail journey matter most2 and which needs are most important during the so-called ‘moments of truth’3. The results from the first study show that customers experience nine journey phases, beginning at their home and ending at their destination, as illustrated in Figure 1 4. It clearly finds that passengers experience the most positive emotions whilst sitting in a moving train. However, if they are not able to sit or if the train is running late, negative emotions arise, making the total journey experience a negative one. Freedom: Passengers should be able to spend their time as they wish with freedom to do what they want. Being aware of customer satisfaction drivers is one thing, but knowing how to deliver them is another. In order to convert insights into innovation that drives successful business we use the ‘Design Thinking’ approach, commonly used in the field of user experience design. To address passengers’ core needs with focused action throughout the organisation, staff must understand exactly how they can contribute. This is challenging. For many, the three core needs seem too abstract with underlying aspects containing too much detail to provide straightforward interpretations. For this purpose, ‘Design Principles’ have been defined to capture the foundation of our business: The ‘why’ behind everything we do, translating to clear concrete actions that show what is intended and how staff can contribute individually. After establishing the ‘Design Principles’ we returned to the ZMET research results to conduct further analysis. In a collective effort – undertaken by experts from various business divisions, including research, strategy and operations – all the photos and opinions respondents had initially shared were translated into action-focused ‘Design Principles’. After several iterations, we arrived at the 3×3 robust and sustainable principles that are shown in Figure 2. 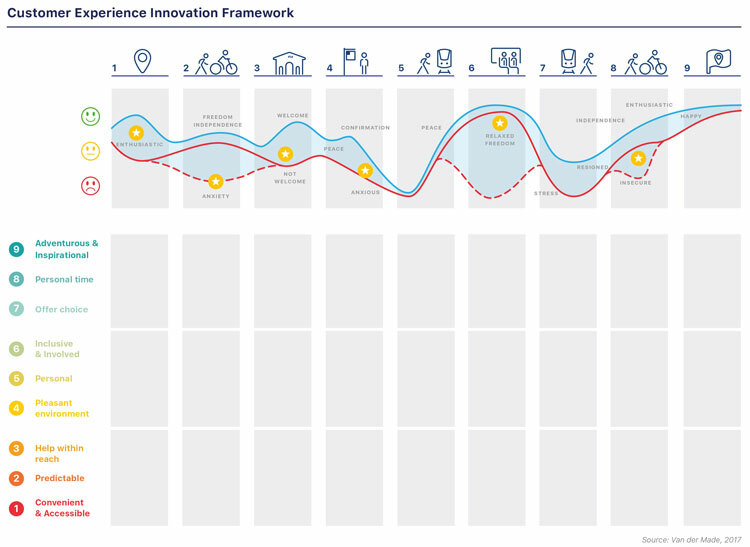 The combined set of principles linked with the nine customer journey stages make up the company’s ‘Customer Experience Innovation Framework’, as displayed in Figure 3. The table-column headers in Figure 3 depict the nine journey stages and the graph illustrates customers’ emotional experience. Solid red lines show a normal situation with disturbed situations illustrated by dashed lines. The blue line depicts emotions in situations where NS targets will enhance the service quality throughout the journey. Together, with nine Design Principles, this constitutes our ‘Total Journey Innovation Framework©’. As it covers what is important to customers over entire door-to-door journeys, every innovation must contribute to one or more cells in this framework. The framework is used to evaluate current customer experiences, for example, assessing whether each principle is adequately addressed at each journey stage. It can also be used to ideate, for example, brainstorm with interdisciplinary teams by asking how we can, for example, offer more choice in a journey stage. It is also used to evaluate by scoring new ideas for the journey stages that it contributes to and identifying which of the nine principles it delivers value to. In this way, a portfolio of activities and initiatives is derived to ensure every journey ‘touch-point’ core need is addressed in an orchestrated way, actively enhancing customer satisfaction. In line with proper design and innovation methodology, new initiatives are first converted into short-cycle proof of concepts tested in live environments with customers and partners. Based on the evidence gained pertaining to desirability and feasibility, a business case is defined for new initiatives. These merge with development roadmaps in subsequent large-scale deployment to achieve the desired results in business performance and customer satisfaction. Vestibules are commonly seen as the least desirable place on a train. 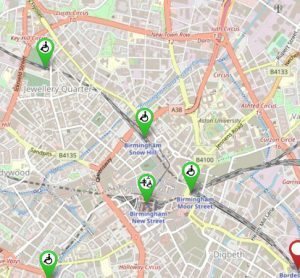 It’s where passengers can end up due to crowding or because they’re carrying large luggage or other oversized items, such as bikes and prams. However, younger travellers tend to like vestibules as it offers them a bit more ‘room to play’ when travelling in a group. 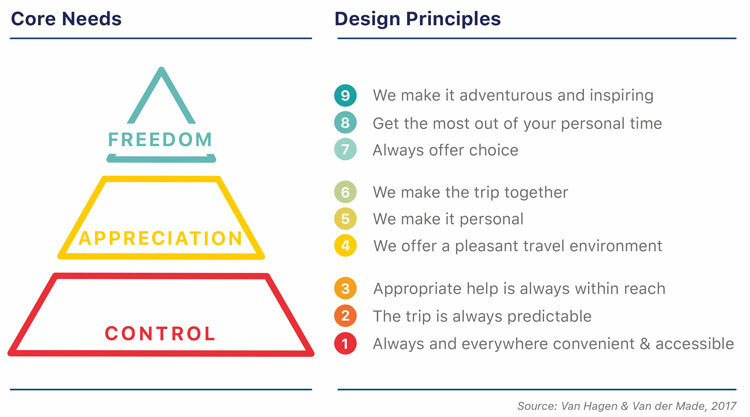 ‘The Hood’ concept was devised by focusing on Design Principles ‘pleasant travel environment’, ‘make it personal’, ‘provide choice’ and ‘personal time’. 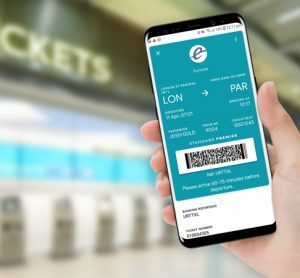 To target younger customers, who are open to more active ways of travelling, perch seats are provided designed for specific ways of spending travel time, such as using smart devices or making phone calls. This is cleverly supported by several facilities such as USB charging points, hooks for coats and handbags and interior decoration to create a matching ‘funky-urban’ ambiance. The comfort rating of the perch seats moved up 1.3 points to an average of 7.0, which scores comparable to a conventional seat. By utilising insights from various research studies, we know what customers want to experience. Furthermore, by translating key emotional needs via customer-centric ‘Design Principles’, all NS employees can contribute to customer satisfaction. 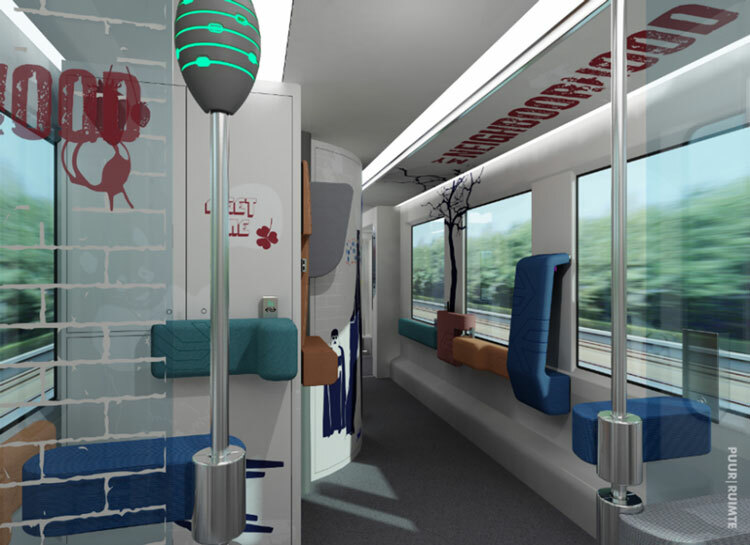 Our innovation framework encapsulates both design challenges as solutions to allow the transformation of an otherwise unattractive carriage section (the vestibule, for instance) into an area in which people will stay and feel happy using. Zaltman G, Coulter RH. (1995) Seeing the voice of the customer: metaphor-based advertising research. Journal of Advertising Research, 35(4), 35-51.
van Hagen M, Bron P. (2014) Enhancing the Experience of the Train Journey: Changing the Focus from Satisfaction to Emotional Experience of Customers. Transport Research Procedia. Elsevier Science Direct, pp. 253-263. Altuïtion. (2015) Onderzoek naar ambities en beloften als basis voor het verbeteren van het Algemeen Klant Oordeel. van Hagen M, van der Made J. (2017) From Customer Insights to new Services. European Transport Conference, 4-6 October, Barcelona. van Hagen M. (2018) Turning a train journey into a pleasant experience. 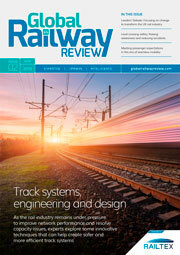 Global Railway Review, Volume 24, issue 02. Pp.40-43. Mark van Hagen has been heavily involved in public transport for almost 30 years. He started his career at Amsterdam’s Schiphol Airport as a Researcher. Since 1997 he has been working for Netherlands Railways (NS) as their Principal Consultant, Customer Experience and is responsible for studies in customer demands and for developing systems that measure customer experience. Analysing customer data and advising senior NS management is also within his remit. Mark received a distinction from the University of Twente for his dissertation, ‘Waiting Experiences at Train Stations’, completed in April 2011. Joost van der Made graduated in 2003 as Master of Science Industrial Design Engineering at the Technical University, Delft. Starting as a Designer for Philips, Joost took special interest in Product and Portfolio Management. After spending 10 years at Sony Ericsson working on mobile phones for the global consumer market, Joost then joined TomTom and was responsible for Personal Navigation Devices, shifting focus from product to user interface to service design. At Nokia, Joost looked after the customer experience of in-market smartphones over their full lifecycle, then moved to Frog Design. In roles at Ziggo and Abellio, Joost headed up Innovation and Strategic Marketing. 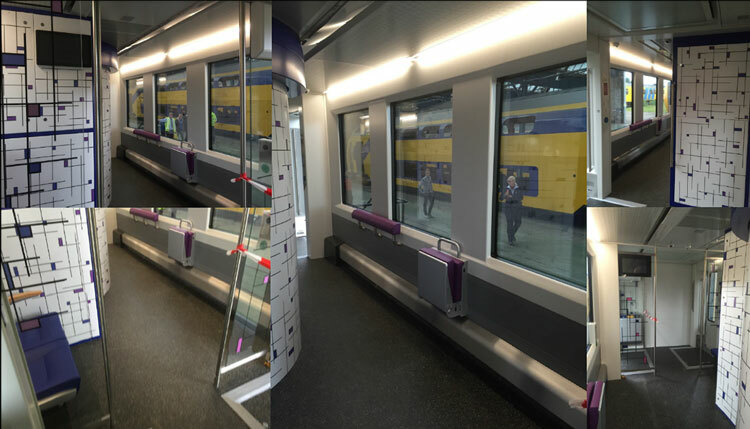 Currently, at Netherlands Railways (NS), Joost is responsible for converting customer insights into innovations that contribute to a 9+ Passenger Experience Score.